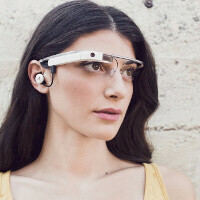 Google’s futuristic Project Glass could arrive earlier than expected and be available on store shelves by the end of this year, Google’s own Glass team confirmed for The Verge. Earlier, we’ve been hearing about a 2014 launch date, but obviously now the project has accelerated its pace and the plan is to ship it by the end of this year. 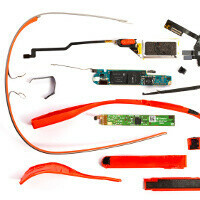 Google plans to sell Glass for less than the $1,500 it now charges developers. If it launches this year, we expect it to be right at the end of it, targetting the busy Holiday shopping season. The Verge’s lucky Josh Topolsky got to wear and actually use Glass revealing a lot of interesting bits and pieces about it. 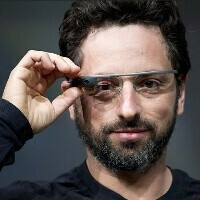 First and most importantly, Google disappointingly confirmed Glass will ship with no cellular connectivity option. That will significantly limit what you can do with it as the device is voice driven and voice is processed on the cloud. In simple words, the device would turn pretty useless in places with no connection. Right now it seems the most common use will be with Glass tethered to a smartphone. That of course is not very convenient, but it is what it is, hopefully future generations of the device will add support for it. 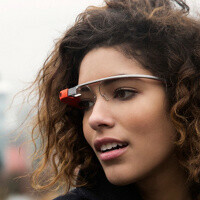 Also, it seems that Glass’ most sought after function will indeed be image and video recording. The device is equipped with an LED light that switches on when you record video, much like a webcam. By the looks of it, that light cannot be turned off easily (that’s our assumption here), which would again make it very obvious to passers-by you are recording them. Another piece that is revealed is the mechanism to switch on Glass. If you had any wild hopes that the device is listening to you at all times, those come to rest. However it does have a very convenient way to wake it up not requiring your hands - you simply slowly tilt your head up. You can also tap on the side of it with a hand, if that’s what you prefer. There is a ton of other small details and impressions at the original article, so feel free to check it out. It is extremely exciting to see the future come alive in 2013. What do you think about Glass, excited about it? 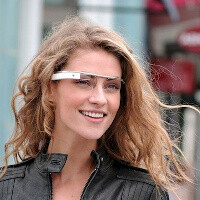 Really excited about Google Glass and its evolution in 2014 and so on ! Was it supposed to come with cellular connectivity? Tethering it to a smartphone does the job I think. And what happens to OK glass command? That's fine, I'll just tether it. Now tell me the price and take my money! I don't think it makes sense to have a cellular radio in the Glass, it takes up space and it uses a lot of power. It makes much more sense for the glass to just use your phone's cellular data and I think that's what Google had in mind from the get-go. Yep, it could have been the plan all along. 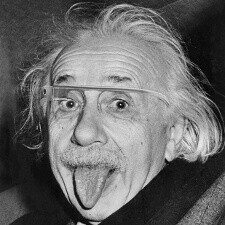 To me Glass makes much more sense with cellular connectivity, so can't agree with you on this one. It's also a matter of compromise, though. It's easier to ship something with Wi-Fi only then to certify for carriers. Battery life is also an issue. It's about time we start reducing redundancy in our devices. Think about it... if you always have your smartphone with you, and it is always connected via cellular or wi-fi, then there is no point in Glass supporting either of those. Tether it via bluetooth and leave out all other radios to reduce cost, size, and weight, and improve battery life. Unfortunately, though, the cellular providers will push back on this. Are you certain it will be Wi-Fi? To me it would make a lot more sense doing the connection via Bluetooth, mainly the 4.0 version, as it would be a lot friendlier for the battery both for the phone and the Glass. Now THIS is innovation! Not something I would use since I would feel like an assh*le using it, but love the tech and potential applications! I prefer it being Wi-Fi only, I have an Wi-Fi only iPad and I like to use my phone as hotspot when I'm out of Wi-Fi range to use the iPad, for the Glass it would be the same configuration. Battery wise, it would drain the cellphone's battery very quick, maybe bluetooth or an improved NFC? "The device is equipped with an LED light that switches on when you record video, much like a webcam. By the looks of it, that light cannot be turned off easily (that’s our assumption here), which would again make it very obvious to passers-by you are recording them." There goes my Stifmeister Productions. Great. So we have to walk around with mobile hotspot on our phones turned on, draining the battery in the process for this thing to work.